Market Equations India offers Channel Intensity Optimization analytics services to help organizations increase the potential of their customer portfolios, minimize default rates, increase recovery revenue and identify the best treatment channels to maximize profitability. 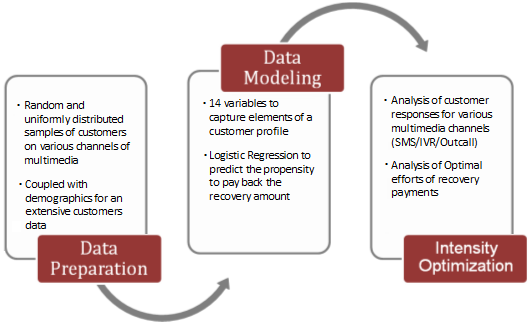 Market Equations helped a large Insurance Brokerage house leverage predictive analytics to design targeted intensity optimization strategies helping the firm enhance the potential of their customer portfolios, maximize recovery revenues while enhancing customer retention. Data Preparation: Post receiving customer data, random and uniformly distributed sample was used to capture customer behavioral data for 7 days using various multimedia channels. This data was then matched with the existing database of customer demographic data of default customers to build a data pool of customers that matched behavioral and demographic profiles. Data Modeling: The next step was to create and tests new variables. 14 variables were carefully chosen to segment customers with similar profiles. Logistic Regression was applied and model scores lying between 0 & 1 were calculated to predict the propensity of a customer to pay back the recovery amount. 50% of the sample data was used to build the model while the models were validated on the remaining 50% customers. Expected payments vs. actual payments received were studied for five buckets. Intensity Optimization: Customer responses on various multimedia treatment channels were analyzed to identify customer segments who are most likely to repay using low cost channels. 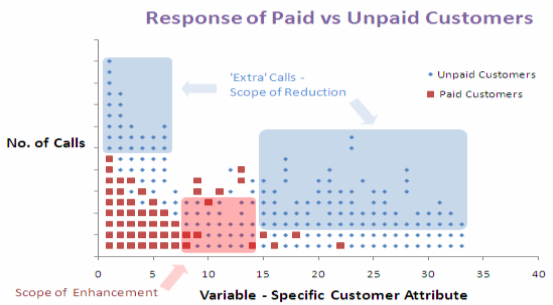 Optimal usage for outbound calling was also studied to quantify efforts to be put on low propensity customers. Further, analysis was done to analyze the low propensity customers to further segment them into a separate group (medium) that would further increase the likelihood of repayment. The company was able to increase the potential of their customer portfolios, minimize default rates, increase recovery revenue by 46% and identify the best treatment channels to maximize profitability. Founded in 2006 and among the first Data analytics outsourcing firms in India, we help organizations apply extensive analytics to harvest and nurture data; uncovering hidden truths and interdependencies that eventually translate to actionable business insights. 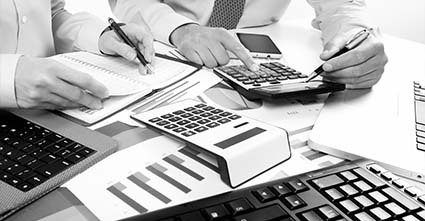 Channel Intensity Optimization analytics outsourcing services from Market Equations India helps organizations maximize recovery revenues, optimize channels effectiveness, reduce collection costs, improve retention and maximize profitability.